It is important that water does not lie against the base of walls. The surrounding paths and ground levels should be sloped to carry water away from the walls. 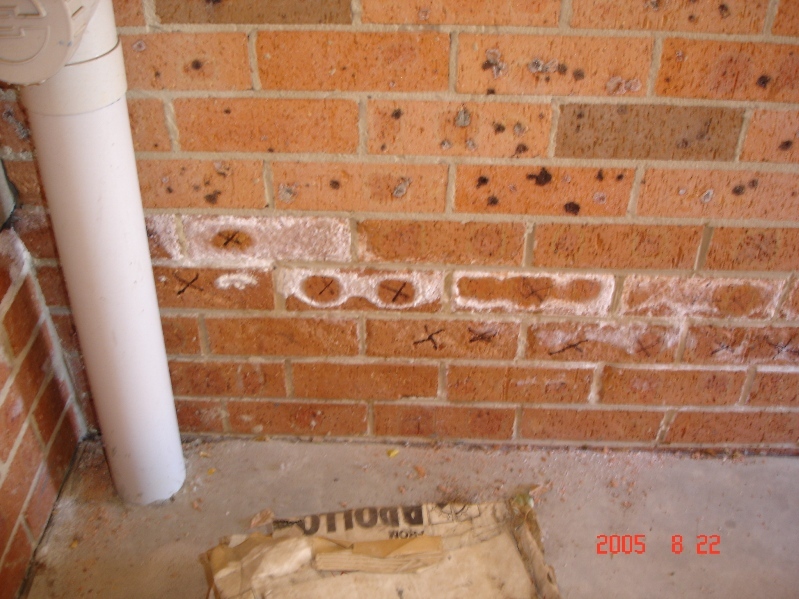 Ensure downpipes do not expel stormwater onto lower walls or ground levels. Instead it should be carried away by a drainage pipe to the stormwater outlet. 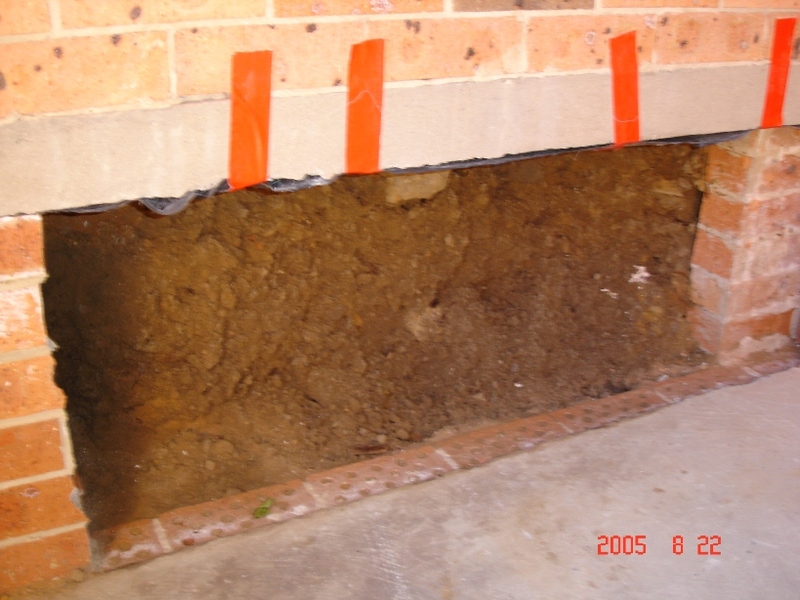 The ground levels may also need to be lowered to expose a buried damp proof course system. Sometimes this becomes a difficult task especially in old city areas where there has been a progressive build-up of road pavements. The buildings in these areas are left in low-lying ground levels surrounded by what is effectively known as a 'levee bank'. 1/ Excavate soil to a safe depth, exposing under the lower wall level. 2/ Clean wall thoroughly from soil and debris. 3/ Apply 1 coat of Polyurethane Rubberised Membrane with full reinforcement. 4/ Apply 2 coats of Polyurethane Rubberised Membrane. 5/ Install membrane protection board. 6/ In the trench, place a layer of blue metal and install Agricultural pipe with a fitted sock. 7/ Connect pipe to stormwater outlet. 8/ Cover pipe with second layer of blue metal. from penetrating through the wall. high strength rubberised cement coating. Damprid also offers reports such as Pre-Purchase Inspections detailing all damp problems, which is a good idea when purchasing a property. Other services include painting, concrete cancer cures and rectification of original building defaults including soil build-up (pictures on right showing soil build-up).